To view your recurring donors, select the Activity Management tab on the left side of your Flipcause Dashboard. 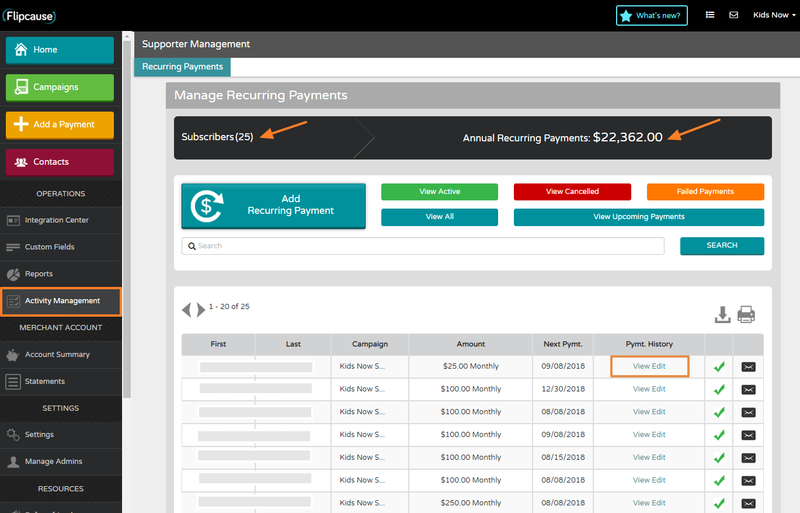 At the top of the page, you can view how many recurring donors you have as well as the total dollar amount of recurring donations that you are receiving annually. If you would like to edit the payment details or cancel a recurring donation, click View Edit next to the donor you would like to change, and click the appropriate button at the top of the page. You can also resend the donor their confirmation link where they can edit their recurring donation themselves.